Go features prominently in a couple of new films, one a drama, the other a documentary. 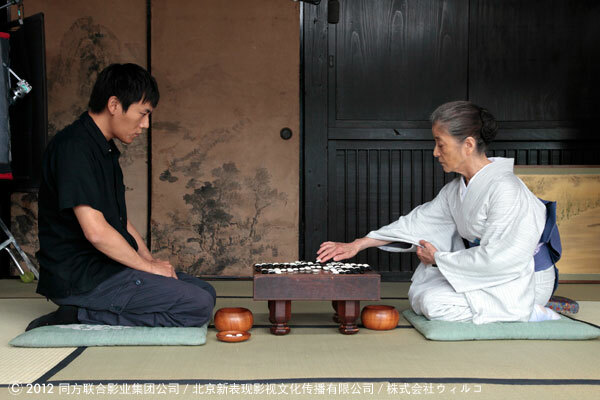 In Tokyo Newcomer, Chinese go genius Yoshiryu (Qin Hao) comes to Japan to hone his skills in the game, but finds he’s too busy earning a living to study go at all. One day, he meets an old woman hawking vegetables, who turns out to be a descendant of a prestigious go family. 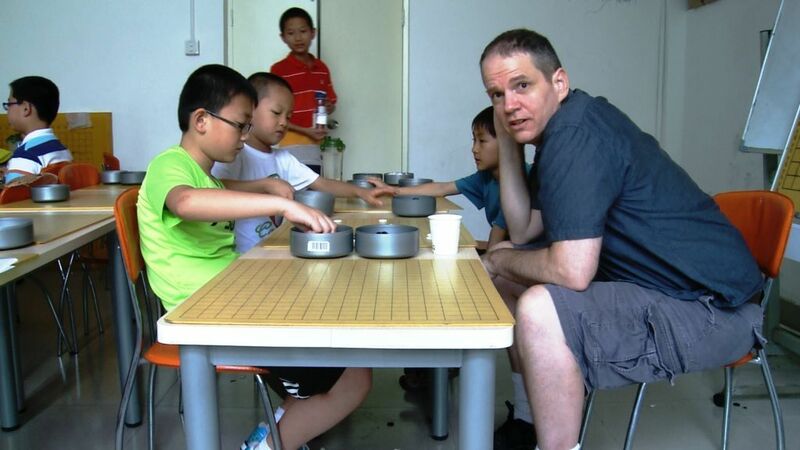 The latest film by Jiang Qinmin – who also directed The Last Sunflower and Sky Lovers – Tokyo Newcomer is “a touching drama about true communication, transcending national borders and generation gaps, through go.” In Weiqi Wonders: Conversations About the Game of Go in China, anthropologist Marc L. Moskowitz (at right, below) interviews people in China in settings ranging from children’s schools to China’s elite Beijing University to a park where retired working class men gather to play, from child educators to those reminiscing about their own youth during the Cultural Revolution. What emerges is a fascinating cultural study as people discuss children’s education, retirement, China forty years ago and today. “As Chinese politics have changed over the last two millennia, so too has the imagery of the game,” Moskowitz notes, “from a tool to seek religious enlightenment to military metaphors, one of the noble four arts, one of the condemned “four olds”, nationalism, transnationalism, historical elitism, and futuristic hyper rationality.” The film is “witness to people’s lives, ranging from university students to working class senior citizens, professional players, people who gave up professional careers to become students, and a range of others who all share a love for this extraordinary game.” Please let us know if you hear about screenings of either of these films, so we can let EJ readers know.